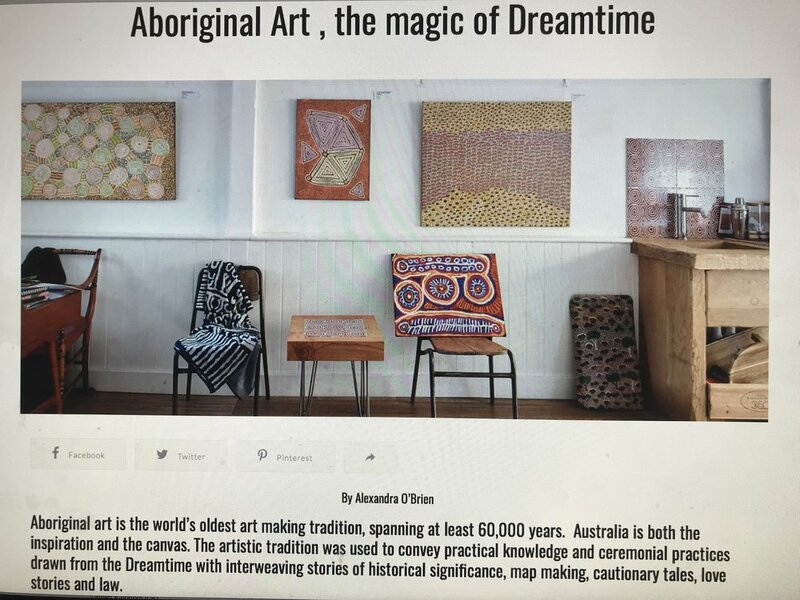 Two of our beautiful Aboriginal paintings featured in the May edition of Period Living. Please get in touch if you would like advice on Aboriginal paintings to suit the colour scheme and style for any room in your house. As you can see the Aboriginal paintings blend well in contemporary interiors within old Cotswold cottages bringing an ancient culture into your home.